For most of us, the value of a book is in its text. 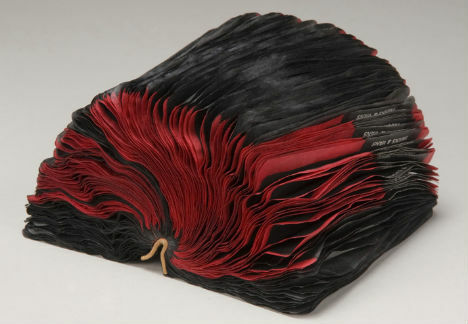 But book artists like Jacqueline Rush Lee see much more than just words on a page – to them, books are a highly unusual, mostly untapped man-made medium that convey a sense of delicacy and history. 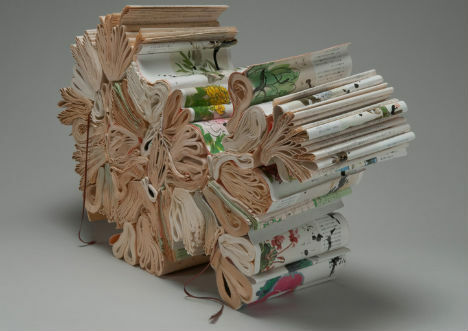 In Lee’s case, reclaimed used books take on an organic feel as they’re expertly shaped into blooming flowers, abstract spheres and other eye-catching shapes. 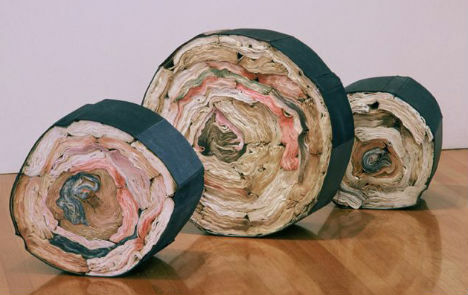 Lee has worked with books as her primary medium for over 12 years, and specifically seeks books that have been loved and handled in the hopes of preserving and enhancing these qualities even as she dramatically transforms their physical forms.